Save the Harbor/Save the Bay's Fan Pier fishing tournament was today. We started the day with breakfast. The breakfast was very good. After breakfast they passed us a white Save the Harbor/Save the Bay fishing shirt that we all had to put on. Next, Bruce divided the Junior Program Assistants and paired us with kids from the Boys and Girls Club. Then, we all got on different boats. As we left the dock, we picked up the bait that we were given to catch the winning fish. On our way to one of the destinations, I saw a lot of lobster traps and an island that has a lot of rocks filled with birds. We used defrosted clams and blood worms as bait to catch the fish. We also used different fishing poles. Hours had passed and we still hadn't caught a single fish. 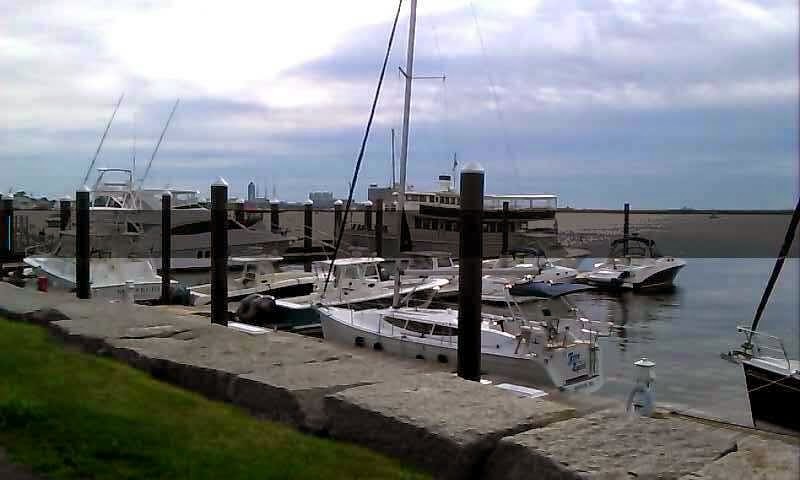 We did get stopped by the Coast Guard to do a routine check, but it was fun being on a boat in the middle of the Boston Harbor. When we came back to the dock, there were only two teams who were able to catch a the winning fish.